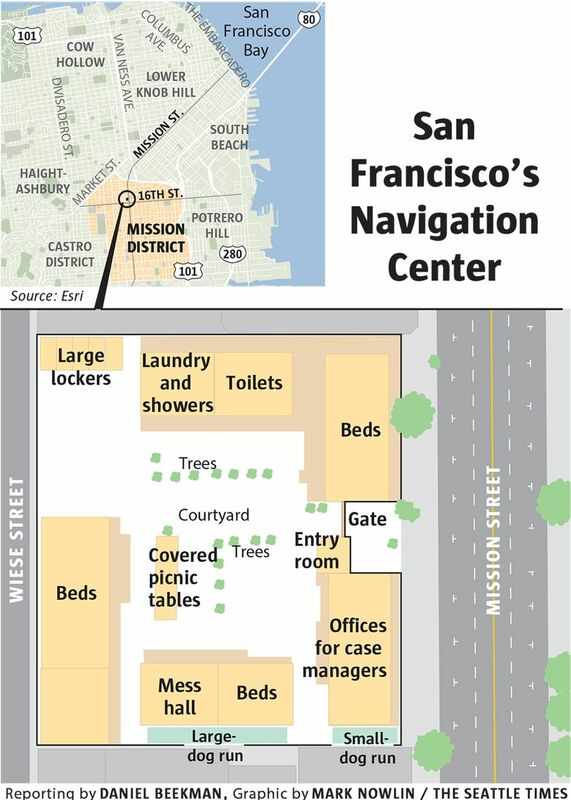 San Francisco has used a special homeless shelter called the Navigation Center to take more than 300 people off the street and out of encampments. Now Seattle may experiment with the model. This is the first of two stories examining what Seattle can learn from innovative approaches used by other cities to ease the homelessness crisis. SAN FRANCISCO — Denise and Michael were relaxing on a sunny Friday afternoon. She sat on their bed in pajamas, folding laundry, while he roughhoused with their friend’s pit bull. Soul standards were blaring from a boombox. There was something homey about the scene, even though the couple were homeless. 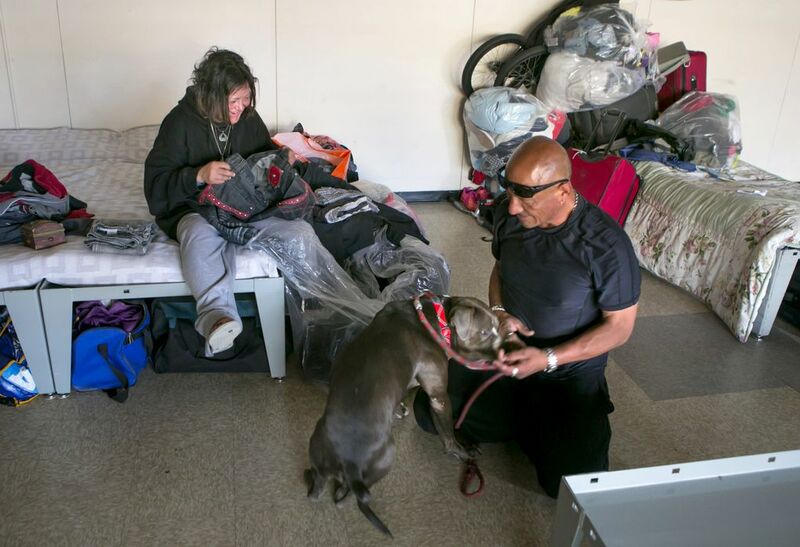 Denise and Michael were inside San Francisco’s Navigation Center, an experimental shelter where guests come and go as they please and where pets, partners and possessions are welcome. 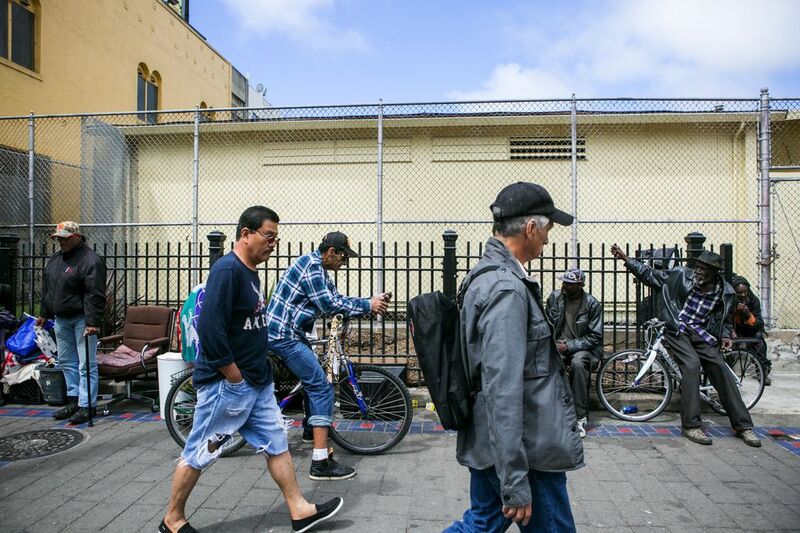 The center in the rapidly gentrifying Mission District has helped take more than 300 people off the street and out of encampments since it opened in March 2015, settling about 150 of them into permanent housing with supportive services. 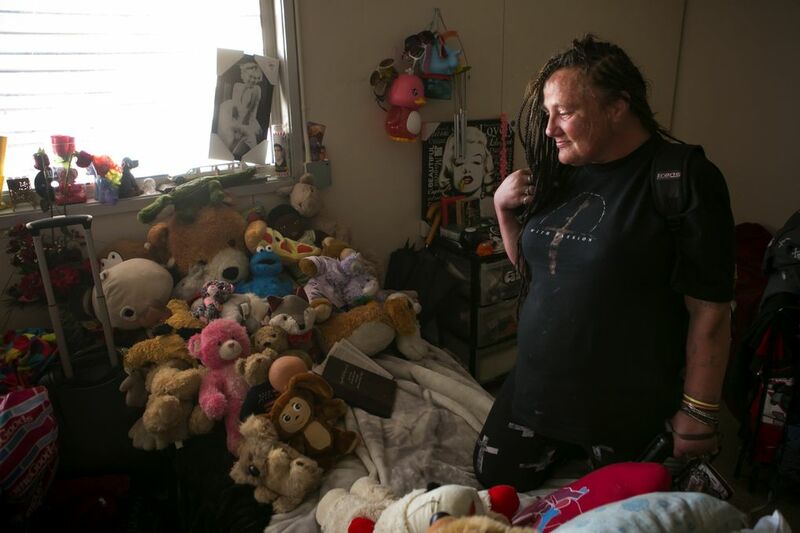 It’s become one of the most closely watched homeless-related projects in the country. 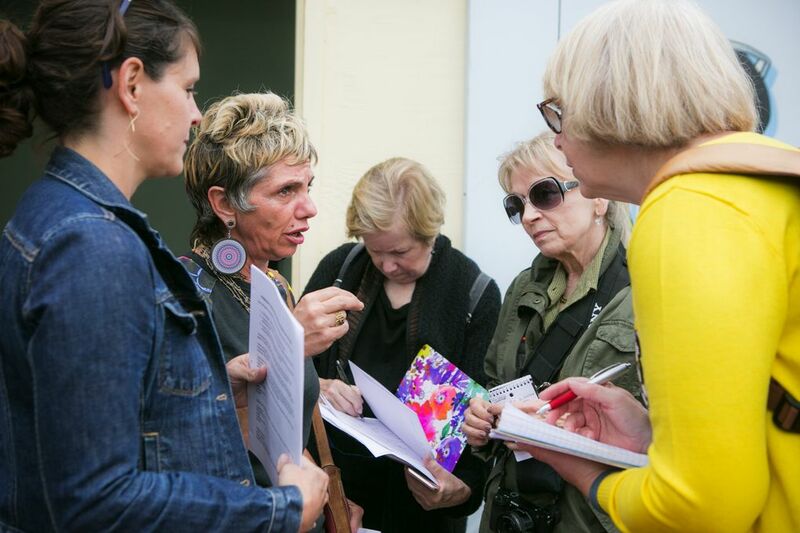 Representatives from more than a dozen cities, including Seattle, have made pilgrimages to the Mission District since the center opened. 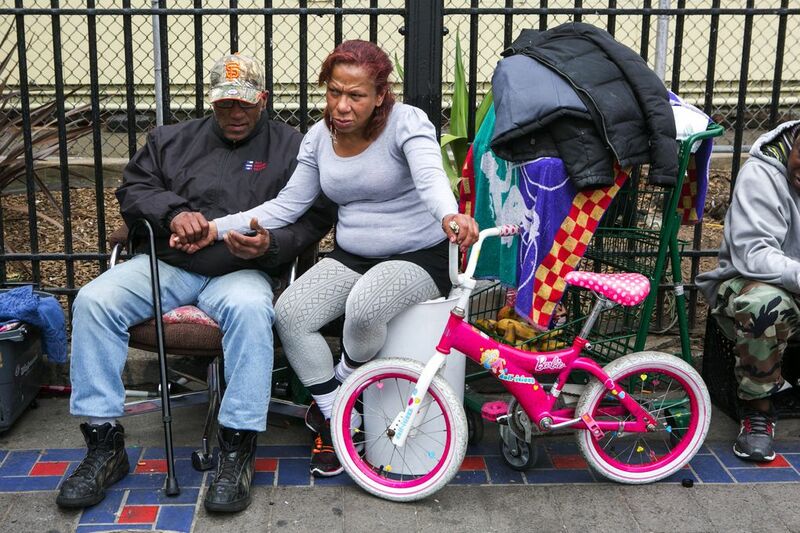 She and Michael declined to share their last names, worried about the stigma that comes with being homeless. As San Francisco officials move to open more centers, Seattle leaders say they want to open one or more. The goal would be to serve people who shun traditional shelters, which have strict guidelines and give guests the boot early each morning. On Thursday, Seattle Mayor Ed Murray issued an executive order setting in motion the creation of a Navigation Center in the Emerald City. Murray and City Councilmember Sally Bagshaw both visited San Francisco’s Navigation Center recently. 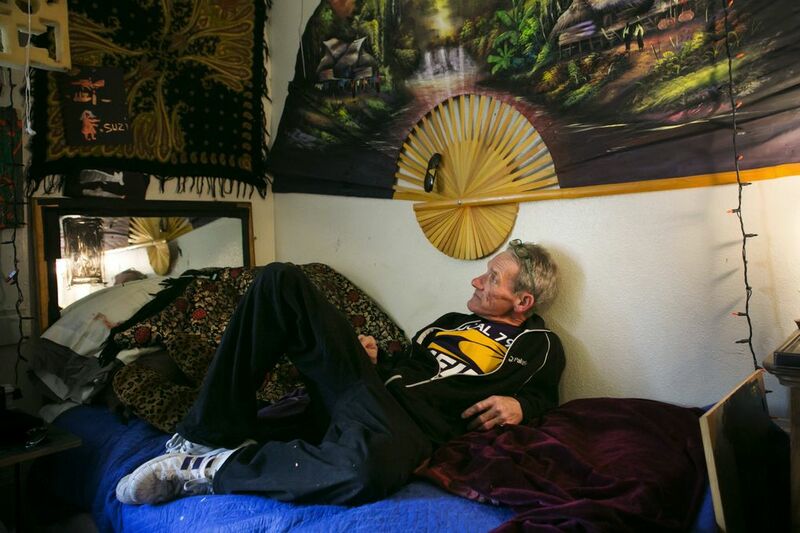 Wrestling over how to handle a series of Seattle homeless encampments known as The Jungle, both have touted San Francisco’s approach as a potential solution to getting some people off the street. The Seattle area is experiencing a homelessness crisis. January’s annual One Night Count, a rough estimate, tallied more than 4,500 people sleeping outside and in vehicles across the city and King County, a 19 percent increase over last year. The crisis is highly visible, with the homeless camped in tents in downtown, Ballard, Rainier Valley and many suburbs. In November, Murray and King County Executive Dow Constantine each declared states of emergency over homelessness. San Francisco has also been struggling. The 2015 count for the combined city-county jurisdiction tallied more than 3,500 people sleeping without shelter, many of them in crowded encampments. That’s 100 more than two years before. Tackling the problem last year amid preparations for February’s Super Bowl 50 in the Bay Area was Bevan Dufty, a former district supervisor serving as Mayor Ed Lee’s homelessness czar. Dufty came up with a plan: Officials would convert an abandoned school on the Mission’s skid row into a shelter with the means to take chronically homeless adults from the street and entire encampment communities, then navigate them into housing. New York City had some comparable facilities, called Safe Haven sites. Dufty’s political connections helped advance the concept, as did $3 million from an anonymous tech-industry donor. 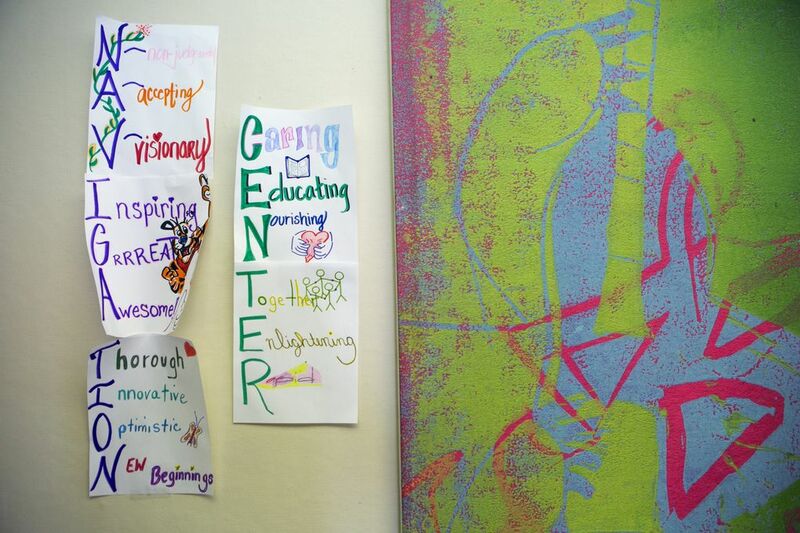 Mission Neighborhood Resource Center, a nonprofit with roots in the area’s Hispanic community, agreed to help run the Navigation Center, lending on-the-ground credibility to the project. There were concerns about opening a facility with very few rules. Some in San Francisco’s government worried the model wouldn’t work, Dufty recalls. But Lee wanted action — the mayor had the site renovated and up and running in just a few months. 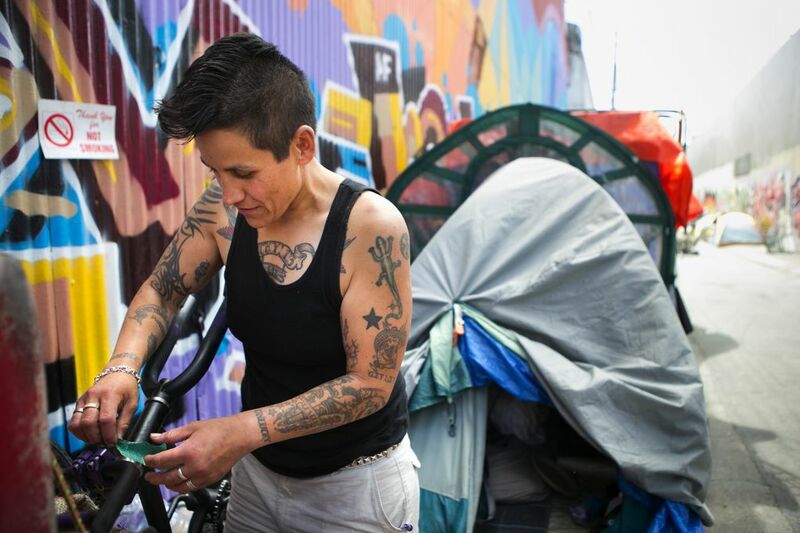 “What it took was guts,” said Laura Guzman, homeless-services director for Mission Neighborhood Resource Center. There’s a gated entryway to the Navigation Center where guests check in and out. Portable buildings ring a gravel courtyard outfitted with picnic tables and potted saplings. Inside are sleeping cots that couples can push together. There are showers, washers and dryers, and a mess hall with no set meal times. Shipping containers and lockers store the possessions of people accustomed to living out of backpacks and shopping carts. There are pocket-size dog runs — one for small dogs and one for large ones. San Francisco Animal Care and Control screens and prepares pets to stay in the center. The center’s on-site case managers help guests obtain welfare benefits, driver’s licenses, health benefits and housing. They keep track of appointments and arrange transportation, said Julie Leadbetter, who directs the center for the mayor’s office. Weapons and violence are prohibited and drug and alcohol use are banned at the center and immediately nearby. But there are no sobriety requirements. In its first 14 months, the center served 501 people. Eventually, 110 of those people were settled into single-room occupancy (SRO) hotels with subsidized rents and support services, and 40 were put into other permanent housing. Another 187 took advantage of the Homeward Bound program, which provides transportation so people can leave San Francisco to stay with relatives or friends elsewhere. For people moving into housing, the average stay in the center has been 91 days. The results are impressive compared with the rate at which traditional shelters haul people out of homelessness. The entire Seattle and King County shelter system includes 3,800 beds. 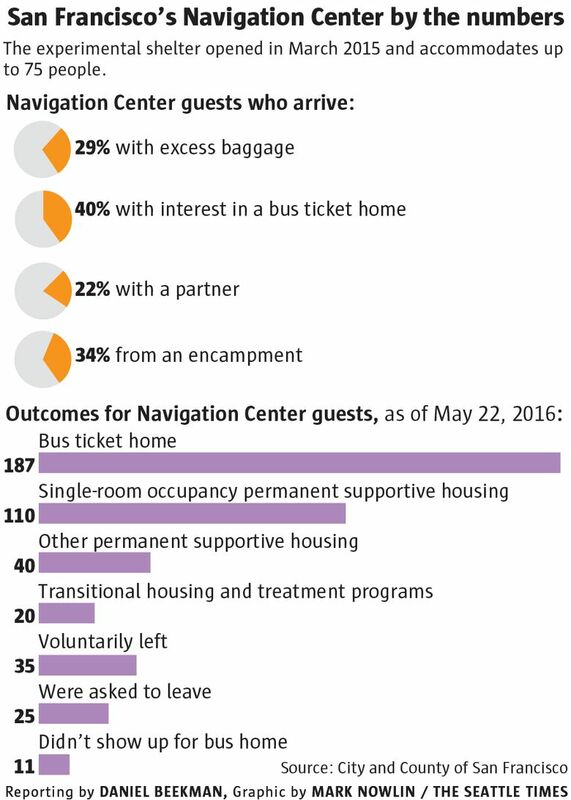 Of the nearly 18,000 people who spent at least one night in the system last year, about 8 percent were recorded as having left into permanent housing. Many people stay only one night or two, then disappear, says Daniel Malone, the executive director of Seattle’s Downtown Emergency Service Center (DESC). 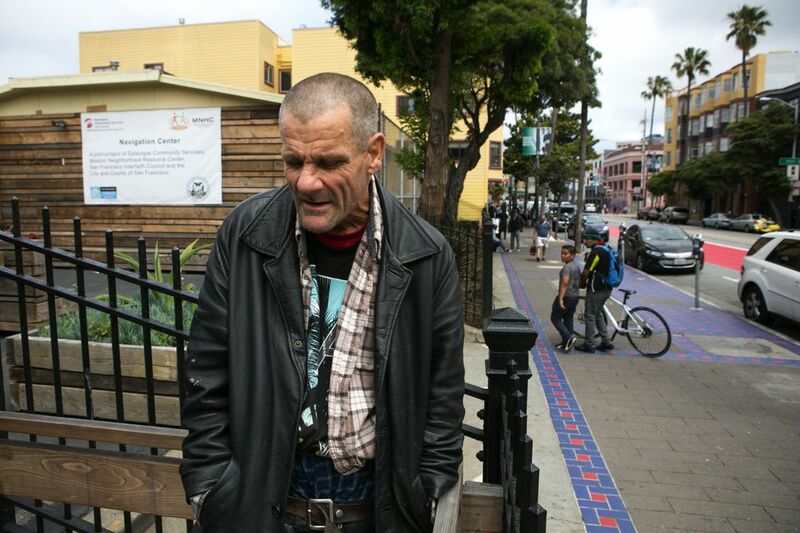 David Loughlin spent about eight months at San Francisco’s Navigation Center. 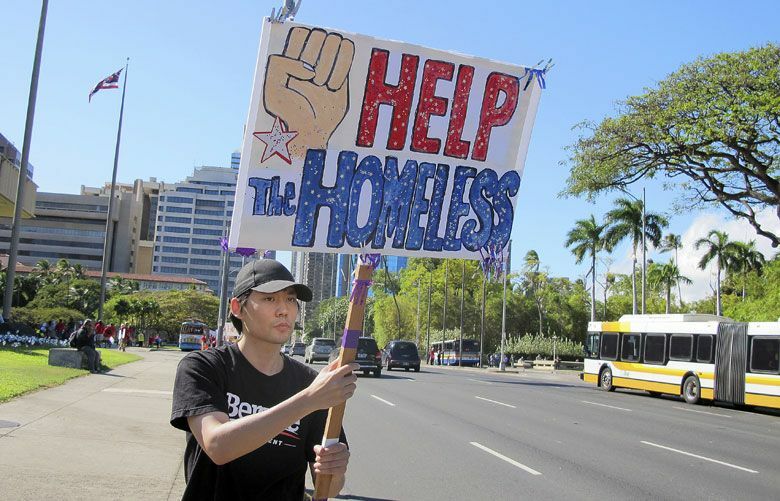 Previously, the wiry 58-year-old had been sleeping in tents, in the appliance store where he worked part-time for cash, and in the back of a truck. This is the first of two stories examining what Seattle can learn from innovative approaches used by other cities to ease the homelessness crisis. These stories were produced in partnership with the Solutions Journalism Network (SJN), with travel expenses funded by a grant to SJN from the Bill & Melinda Gates Foundation. Loughlin now lives in the Altamont, an SRO hotel. His own paintings blanket the walls of his room. His mother’s ashes sit in an urn on a shelf above his door. Loughlin had been homeless for more than a decade but had spent only one night in a traditional shelter. By contrast, the Navigation Center worked for him. Loughlin is a poster child for the center. But his experience also raises questions about priorities. He snared a spot after hearing that outreach workers were preparing to sweep a particular encampment and move its residents to the center. 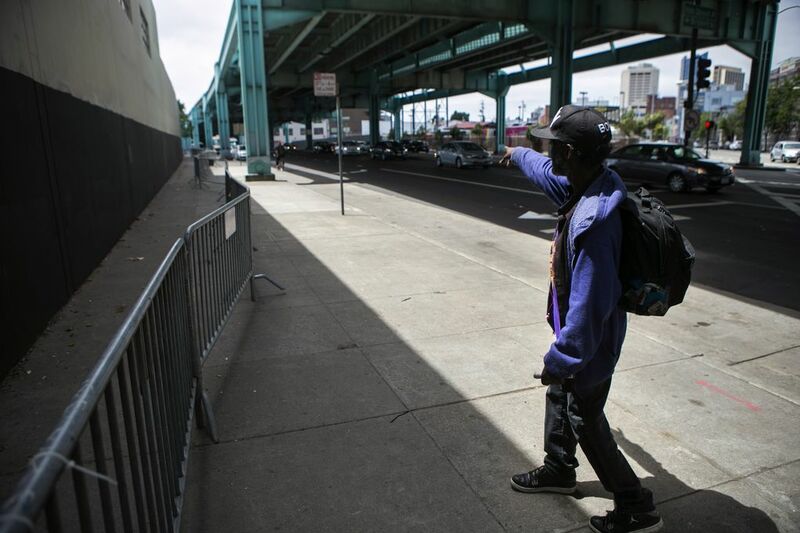 The center owes some of its success to its status as a pet project separate from San Francisco’s regular homeless-services system, which prioritizes people based on length of homelessness. The mayor has given the center’s clients special access to housing. The upshot: The center has played well politically, but some people benefiting are less vulnerable than others left on their own. The Navigation Center will close later this year to make way for the construction of 165 sorely needed affordable-housing units. 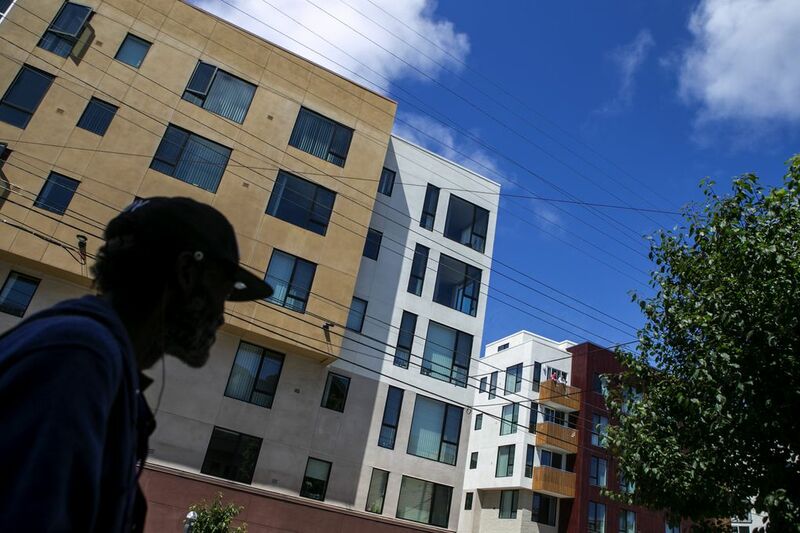 Within spitting distance, new studio apartments are renting for almost $4,000 a month. Dufty has left Lee’s office, but successors are working to open a second center in a former low-income hotel in the Civic Center. Officials are considering a third center in the Dogpatch neighborhood, where warehouses are giving way to galleries and condos — and where homeless people camp by the Bay. While there’s frustration about how officials are selecting whom to help, there’s also widespread agreement the center is effective. The word on the street: People who go there get housing. 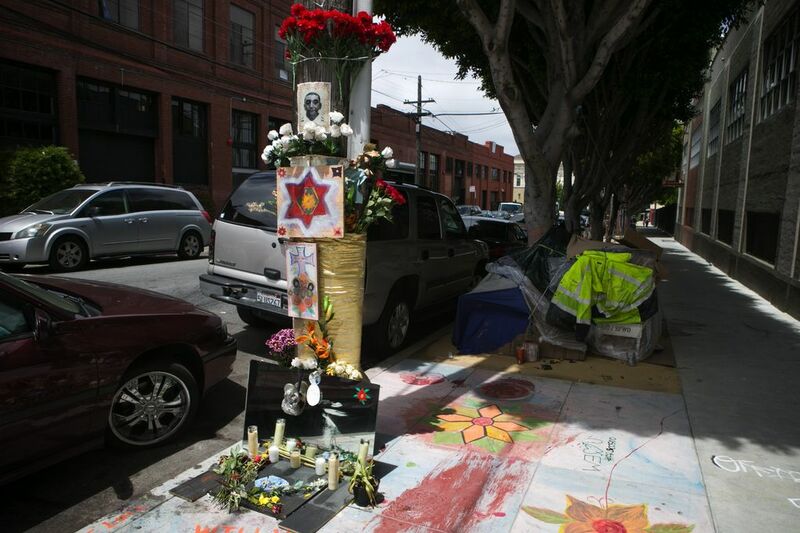 Shanna Orona, 43, was living in May in a tent along Erie Alley, one of many Mission District stretches adorned with bright graffiti murals. The alley is less crowded than it was a year ago and Orona keeps her section neat and tidy. She passes time repairing and painting BMX bikes. But she said she desperately wants housing and even has some money for rent. Seattle Mayor Murray acknowledges that one center won’t completely solve Seattle’s homelessness problem any more than the Mission District site has ended San Francisco’s crisis. Just this week, two people were charged in the grisly, three-day torture and slaying of a homeless man found in Golden Gate Park. 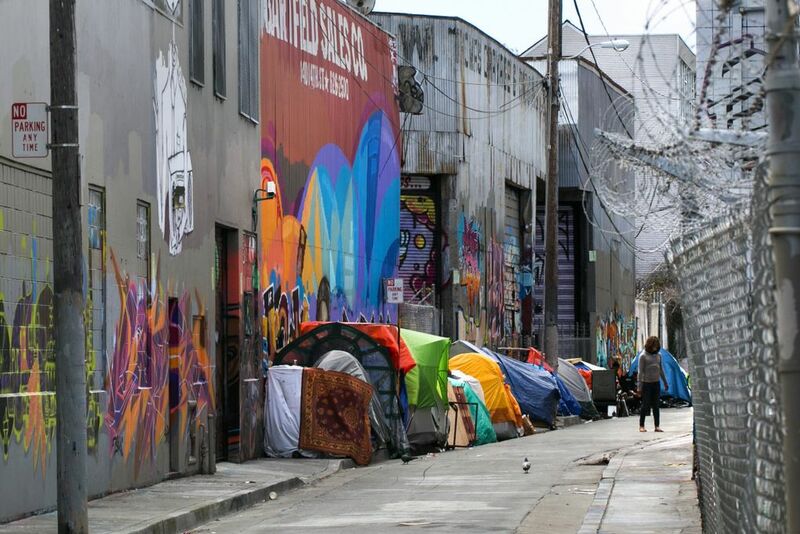 And San Francisco officials have encountered some opposition to a site proposed for the third center in Dogpatch, where residents are concerned about homeless people roaming nearby blocks. Besides, Seattle already has some similar programs in place. Jason Johnson, Seattle Human Services Department deputy director, says one DESC shelter is open as drop-in site during the day. 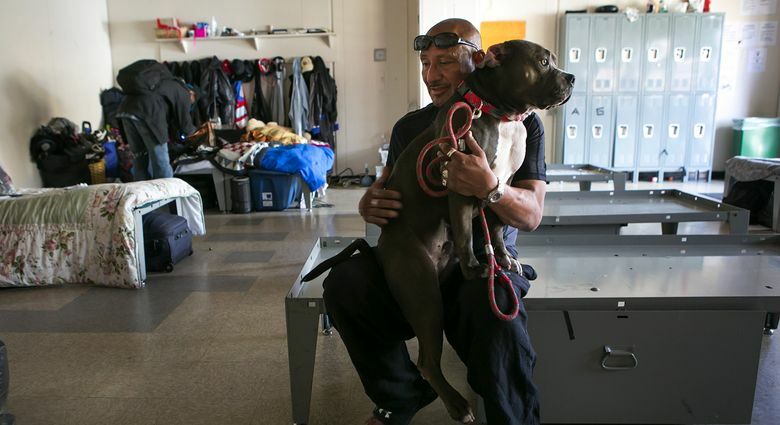 A Salvation Army shelter allows partners and pets. Three city-sanctioned encampments opened by Murray in the past year also allow pets, partners and possessions. Guests can come and go. And unlike the Navigation Center, they accommodate children. As of this month, they’re sheltering 135 people. These encampment use tents and tiny houses rather than buildings, a downside. But those are more private than congregate rooms — and cheaper, notes Sharon Lee, executive director of the Low Income Housing Institute, which provides services at the sites. “We have a superior model and we’re cost-effective,” Lee said. Setting up the Navigation Center cost San Francisco $600,000; operational costs are $2.5 million per year, including meals. By contrast, Seattle’s three sites cost the city about $80,000 to set up, and operating them costs less than $500,000 per year. They’ve served 520 people and as of May 24 had provided sustained case management to 139 of them, moving 42 into housing, according to Lee and the city. Seattle’s safe-parking lot and safe zones for people living in vehicles have been less successful: Only one of 65 households has left the lot and zones for housing. The cost of creating something similar to the Navigation Center in Seattle worries DESC’s Malone, even though he describes it as “a welcome twist” on shelter. “Would it be better to use that money to create housing?” he said. 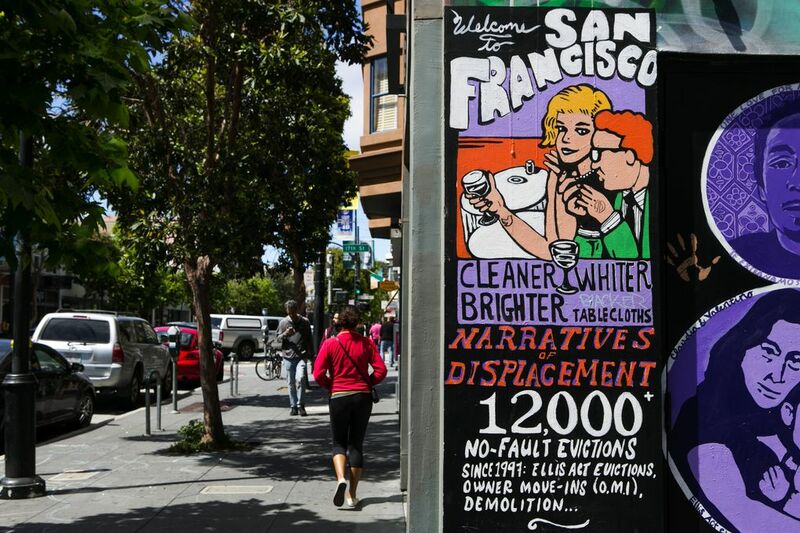 San Francisco has another asset — dozens of early-20th century SRO hotels to move people into. Seattle has torn down most of its SRO buildings. Then there’s the Homeward Bound program — the most common exit from the Navigation Center. Seattle sometimes buses people away, but a larger program would likely face opposition. Still, Murray and Bagshaw plan to forge ahead. The mayor’s Thursday order calls for the city to open a Navigation Center in Seattle by the end of the year. State lawmakers recently allocated $600,000 for the project. Murray has begun talking with donors about seed money, he said. And Seattle may be able to save money by converting existing shelters rather than building a Navigation Center from scratch. 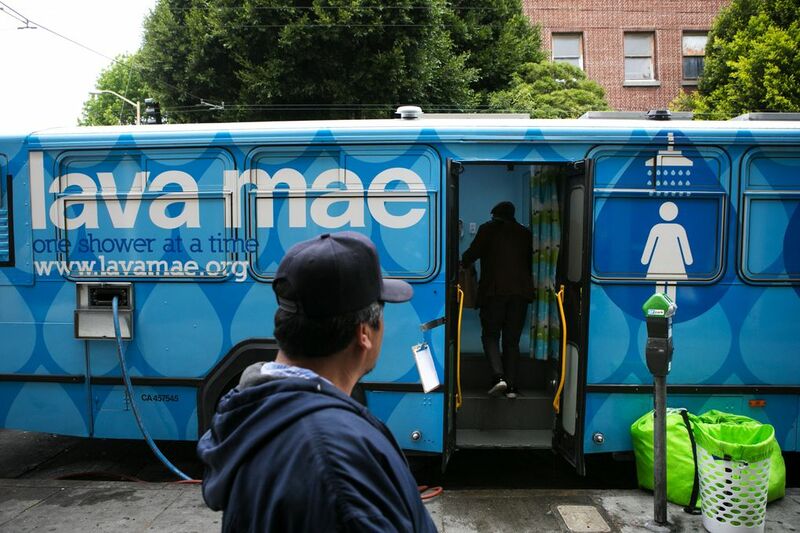 “(At San Francisco’s Navigation Center) they use the term ‘radical hospitality.’ I love that. That’s what we need to be doing,” Bagshaw said. Murray and Bagshaw say they’re thinking about people like Denise. Back in the Mission District folding clean sweaters and jeans, she seemed happy. She also seemed startled to be relaxing after so many months of stress, on drugs, on the street.